The last guy doesn't know what the hell he is talking about. The phone has wonderful reception and I know because my nokia 8290 poops out at my parents house all the time yet this guy has FULL signal there. The battery life is wonderful! I don't even know anybody who would need the included extended battery... the normal lasts around twice as long as my 8290..........oh and it doesn't smell like dog meat either. I just bought this phone unlocked and it is wonderful! Very small and light yet solid! I was woried about the dstn screen but it is bright and crisp. Good job Samsung! There are some very racist comments here... Shame, such a nice and infomrative web site spoilt by ignorant scum like some of you. And for your information, Korea did not win the world cup. As for the phone, i think Samsumg is going the right direction in developing fun and useful phones! Keep it up Samsung! Everyoone knows Samsung is most leading call phone company in the world... im using this phone right now.. and it has great battery life and strong signal!! maybe you messed up when you first charged your battery.. and 2002 worldcup was succeded.. dont have to hate cuz you are jealous.. I agree with Jamo. We cannot trust in Koreans. See how did they do to win the World cup 2002: Dirty!!! it s the best mobile in my opinion. it s a small phone, a great coloured picture and a gprs function. I think it's a great phone! By the looks of it. I have a question. 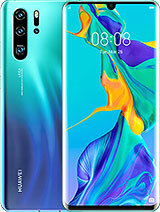 Does anyone know if the Samsung S100 or V100 will be released in the Asia-Pacific region, particularly in the Philippines? Thank you. This is a super-duper great phone!!! I want it! I want it! I want it!! But it hasn't been launched in the Netherlands yet! Damn it! That isn't funny... :-( I want this phone!!!! I am in love with the S100 and will want to buy one. I am resident in Nigeria(Warri)and wants to know how to get the handset. It's a lovely piece of equipment. where can i get this phone for cheap? UK release for S100 according to an e-mail from Samsung is the beginning of October. y wanth just now at wre date comming the v100 by samsung in switzerland? I am Joseph Scerri from Malta please send me the best price and if it is good for Malta.